As an Australian, I’ve always thought we were lucky to celebrate the new year almost before anyone else on the planet. There are a few islands and some parts of New Zealand & Russia who ring in the new year a couple of hours before we do in Sydney, but we’re among the first. Music, good food and lots of wishes for the new year accompanied by amazing fireworks. The latest celebration was extra special for me because I was actually in Australia. As I stood looking at the fireworks in Sydney Harbour, I couldn’t help but think about all the positive things that happened in Panama in 2018. 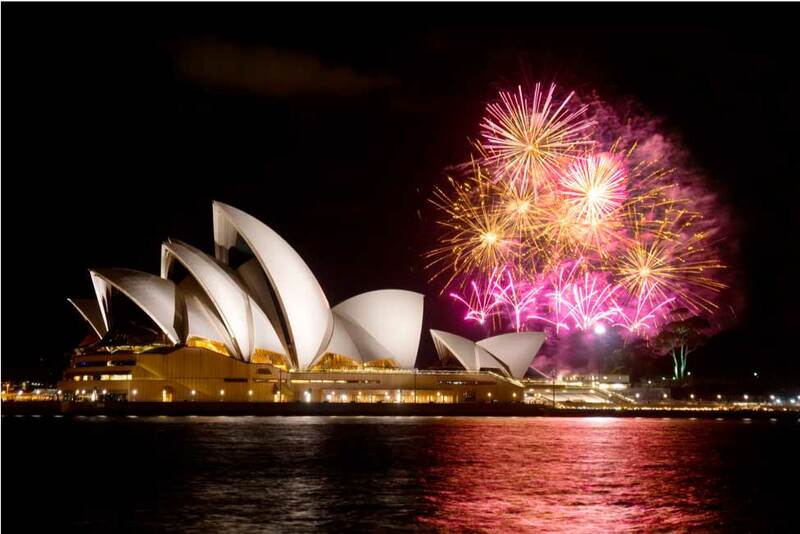 Sydney knows how to throw a New Year’s party with fireworks, music and lots of kissing! The Opera House is a perfect backdrop for the 1.5 million spectators who gather to personally watch one of the greatest pyrotechnic shows on earth. While there has been talk about building a fourth bridge over the Panama Canal for years, the funding was secured in 2018, the construction bids were awarded, and construction began just outside Panama Pacifico. The fourth bridge will be constructed north of the Bridge of the Americas and will connect the capital city with the interior of the country. There will also be an observation deck and restaurant. This bridge will change the face of Panama. With six lanes for vehicles, traffic will be eased going into and out of Panama City. The bridge will also have much of the third Metro line which will connect people in all parts of Panama City from Albrook Mall to Tocumen International Airport, Playa Bonita and Panama Pacifico. A feasibility study is currently being conducted to examine the impact of building a railway system connecting the third line of the Metro to an above-ground rail system. This would take passengers from Panama City to David, the second largest city in Panama located on the border with Costa Rica. Building a train across the entire country is certainly years away, but the initial steps began in 2018. Because the bridge is rapidly becoming a reality, employees will soon be able to easily transport in and out of Panama City. Many Panamanians work in Panama Pacifico, the old Howard Air Force Base. Panama Pacifico has special zoning to encourage international companies to locate their regional offices and distribution centers there. It even has a small international airport there with flights to South America. 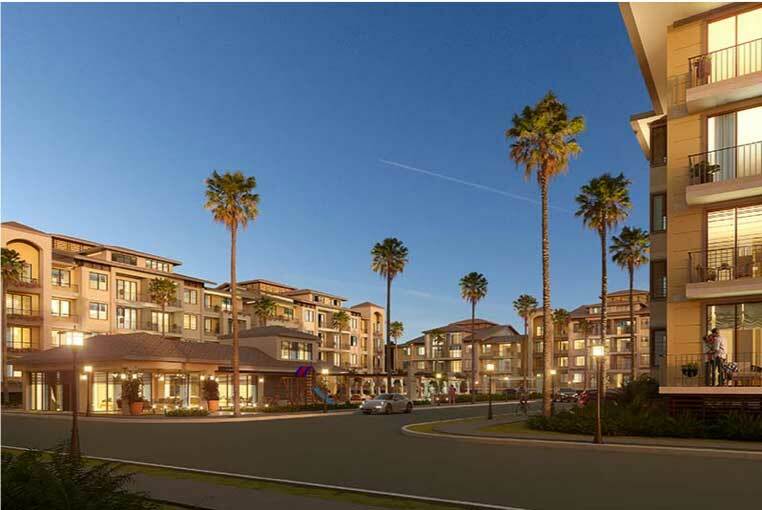 Construction of the Royal Palm residences was completed in 2018 and the first residents began taking possession in the third quarter. Twenty eighteen will always stand out in my mind as the year the stunning beach-front residential complex, Royal Palm, began accepting residents. It was years in the making, but well worth the wait. With five pools, a number of social areas, sports court and dramatic views over the Pacific Ocean, Royal Palm now redefines the offerings for beach living in the Coronado / Nueva Gorgona corridor, just 50 minutes from Panama City. Royal Palm is perfect for individuals seeking to purchase investment property because of its dual appeal as a long-term home and a beach rental property. Residents and guests all enjoy hotel-quality amenities along with the private beach facing the Pacific Ocean. The development of Costa del Este, the upscale area of Panama City continued to grow at a dizzying pace. Progress on the second Johns Hopkins International affiliated hospital continued to take shape next to the Town Center shopping complex and major construction on the new JW Marriott was completed. Medical tourism continued to grow and draw an international clientele. A group of upscale medical offices was also completed this year. ELC President Daniel Rachmanis accepted a welcoming handshake from Panamanian president Juan Carlos Varela. Last year marked the 130th multinational company to open offices in Costa del Este. 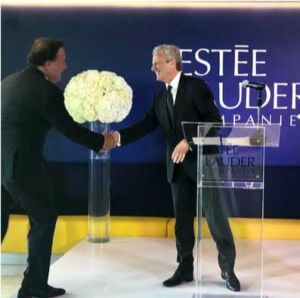 On November 30, 2018, the president of The Estee Lauder Companies (ELC), joined other dignitaries in announcing the opening of their regional Center of Excellence in Costa del Este. There will be over 200 employees working at the local office which will oversee the Central American distributor markets. The employees of the companies who locate to Costa del Este, tend to want to also live in the area. To meet that need, several residential towers were announced or began construction in 2018. Even with additional residential options entering the market, there was no decline in interest from investor groups or individuals. One residential development, Generation Tower, will operate as a condo hotel and was especially well-received in 2018. Investors liked the idea of turn key operations with on-site property management, a marketing team and managers overseeing daily operations. Generation Tower was so named because the design of the building caters to all generations, from the young professional to retirees. Amenities at Generation Tower include everything from conference areas, to upscale restaurants and mixed-use retail, exercise clubs and extensive social areas. Arcadia, a 46-story residential tower, continued to spark a great deal of interest from investors wishing to capitalize on the booming business of executive relocation, the growing medical tourism market and an explosion of new employees. Arcadia is attractive to young professionals, investors, transferred executives without families and middle-class Panamanians. For wealthy Panamanians and transferred executives with families, the 52-story residential tower of Matisse became the perfect answer in 2018. With only two units per floor, complete with maids’ quarters, a private entrance, gourmet kitchens and stunning balconies overlooking the Pacific Ocean, Matisse, is exceptional. What If I Don’t Want A Residential Tower? One of the more surprising developments in the 2018 real estate market of Costa del Este, occurred when it was announced, Casa Bianca was under construction and almost completely sold. While most new residential options are in towers, Casa Bianca, will have three and four floor structures, a great deal of green space, play areas for children and multiple pools, all set in a modern colonial setting. The residences of Casa Bianca were a new concept for Costa del Este, but one that took off immediately. Panama was again named in 2018 as one of the best locations for retirees by multiple media outlets, including TIME magazine, AARP and Business Insider. Additionally, Panama was named by the New York Times’ list of “52 Places to Go In 2019”. While the standard positives, such as the best retiree program in the world and a lower cost-of-living routinely places Panama at the top of most retirement destination lists, it was the multiple new offerings for vacations that prompted The Times to tell people to go to Panama for vacation. 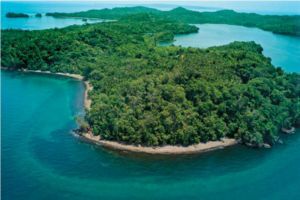 “Two new Pacific island resorts are expanding Panama’s west coast appeal, not far from the marine preserve around Isla Coiba. Cayuga Hospitality recently opened Isla Palenque in the Gulf of Chiriqui, with eight over-water casitas and one villa on a lush 400-acre island,” said the article published on January 10, 2019. Marriott International made a large investment in Panama City in 2018 when it acquired the hotel properties located in what was formerly Trump Ocean Tower. The 369-room and 41-suite, five-star hotel is the tallest structure in Panama City and has been rebranded as a luxury JW Marriott. The $80 million Ritz Carlton resort is being built on the third largest island located in the, 200 island Archipelago, in the Gulf of Panama. The Ritz Carlton resort will create 275 long-term jobs. 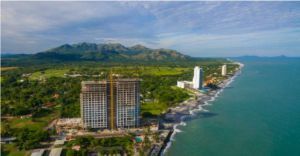 In early 2018, Marriott introduced The Santa Maria, A Luxury Collection Hotel & Golf Resort located in the Santa Maria section of Panama City. The hotel is a five-star urban property, featuring 182 luxurious guest rooms and suites with authentic Panamanian design elements. Surrounded by extraordinary views of the Championship Nicklaus Design golf course, the resort has three restaurants, a state-of-the-art spa, a fitness center with rejuvenating natural light and an outdoor pool overlooking the best golf course in Central America. Marriott is further growing their presence in Panama with plans to open three more properties by 2021, including the Ritz Carlton Reserve on Las Perlas which is slated to open in 2019. The Pearl Island resort is 45 miles south of Panama City and is only accessible by boat, helicopter or private plane. When completed, the hotel will be an open-air resort offering 86 intimate rooms, twenty villas and some private homes with a range of select luxury amenities including, a lavish spa, private beach club, swimming pools, restaurants, an 1,800-square-foot pavilion and boardroom with ocean views, and access to a world-class marina. 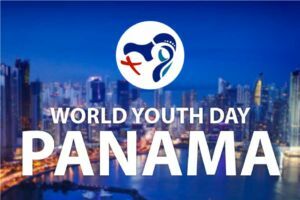 Panama will begin welcoming an estimated 500,000 visitors when World Youth Day 2019 is celebrated primarily in the Cinta Costera section of Panama City January 22-27. Pope Francis is scheduled to address the attendees and hold an open-air Mass. In 2016 in Krakow, Poland, Pope Francis officially closed World Youth Day and announced the next gathering would be held in Panama in January 2019. In 2018, the Panamanian government announced a $28 million infrastructure project that would be completed before Pope Francis came in Panama. The project includes Latin America’s only Smart City, which provides an improved experience by gathering electronic data and responding with personalized options. Inspired by the Lincoln Road section of Miami, the area will offer upscale retail, open air gathering spots, a pedestrian mall and a wide variety of restaurants and coffee houses. Along with the improved infrastructure, the twin towers of the Uptown complex will offer private residences, rental options and condo hotel rooms. Uptown is the only high-density residential project located in the new hub and it will be located in the area of Calle Uruguay and Avenida Balboa. Being Part of The World Cup! Many Panamanians were on hand in Sochi when the national team took to the field in their first-ever appearance in The World Cup. It would be difficult to overestimate the pride most Panamanians felt when the national soccer team participated in the World Cup for the first time this summer. The Panama National Football (Soccer) Team took to the field in Sochi, Russia for its historic initial game with Belgium in July 2018. Belgium won 3-0, but the Panamanians were ecstatic to be among the 32 qualifying teams. Since 1978 the Panamanian team has tried to qualify for every World Cup. In celebration of their 2018 qualification, Panamanian President Juan Carlos Varela declared a national holiday. School children and adults danced in the streets until well-past sunrise. Panama continued their world stage appearances, when the President of China, Xi Jinping stopped to visit Panama in December 2018 and sign a long list of initiatives and business agreements between the two countries. The visit established stronger ties with the Chinese, who are the second largest user of the Panama Canal. In 2018, China was the second largest trading partner with Panama, second only to the United States. As Panama continues to grow economically, they solidify their position as the de facto business capital of Central America. 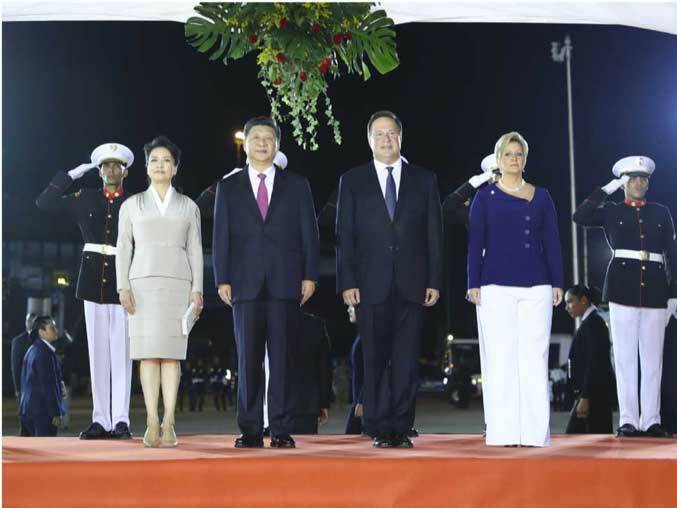 The two leaders were accompanied by their wives in Panama City during initial formal greetings between China and Panama. Three out of four restaurants named by Fodor’s as the best of the best are located in the old city of Casco Viejo. These included Manolo Maduero and The Dining Room at the American Trade Hotel. These stylish dining spots offer everything from a nightly 8 to 10-course tasting menu to incredible fresh seafood caught just off the Panamanian coast. Other top restaurants included Donde Jose, who tells the story of Panama through their cutting-edge cuisine and 1985 which is aptly named for the year the French Bistro was opened. 1985 is located in the only building in Panama City that resembles a Swiss chalet. Patrons have been enjoying their cuisine for three decades. Our growing restaurant scene paints a picture of Panama’s evolution, but that isn’t the only indication of growth. 2018 was exceptional for Panama in many ways. I could go on and on about the major road improvements happening all over Panama and the Amador Causeway Convention Center playing a large role in positioning Panama as a convention city destination! In May, the Panama Canal reported they achieved a new tonnage record, when a total of 1,231 vessels crossed the water route with 38.1 million tons of goods. It’s been two years since the Canal was expanded and we continue to play one of the most pivotal roles in international shipping. The 625,000-square foot, $194 million, Amador Convention Center highlights the best of Panama City, touting views of the skyline, Bridge of the Americas and Panama Canal. 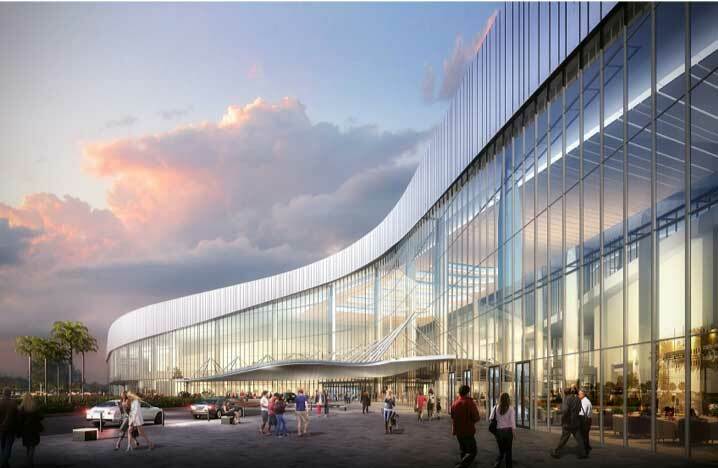 It will feature three halls for conventions and exhibits as well as a 63,000-sf theater and 138,000-sf amphitheater. It is projected that the Panamanian economy will grow 6.3% in 2019, while the economy of Latin America and the Caribbean will average just 1.2% growth, according to the United Nations Economic Commission for Latin America and the Caribbean. Each day, I continue to marvel at how far the country has grown in the last ten years. Things seem to happen faster and faster. A new restaurant here and there and another multi-national company asking about housing for their employees. Riding the Panamanian wave is very exciting!